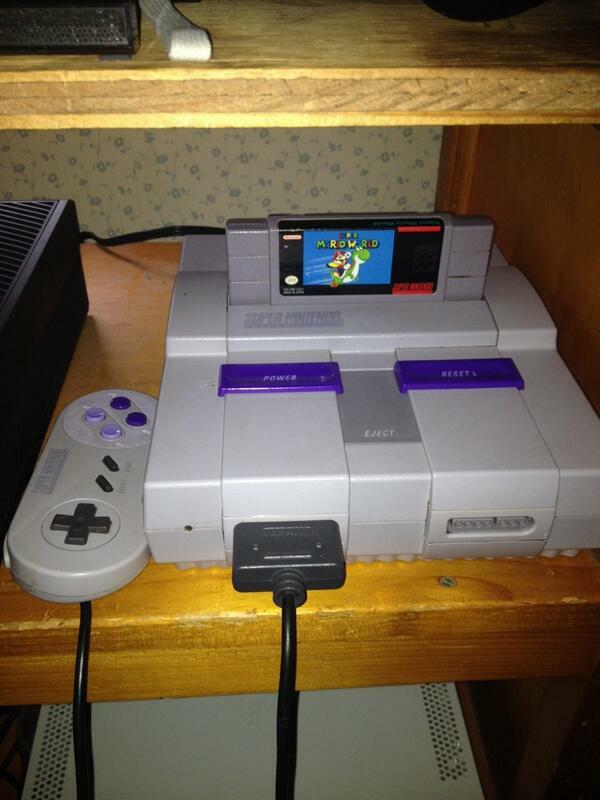 I wrote last spring about how I went ahead and bought a used SNES. Sure we’re finally getting into the real meat of the true “next-gen” of games – the new releases look better than they ever have before, and we’re seeing some pretty cool approaches to gameplay too. But I still think that there is a lot of value in going back 20 some years to playing the classics. Some of those games are a bit expensive, so it’s maybe a little slower going if you’re building up multiple collections like I am (Xbox One, SNES and Sega Genesis). As it stands right now, I still only have three games for the SNES – Super Mario World, Super Metroid and The Legend of Zelda: A Link to the Past. For my Genesis, I have a few more, but I find myself playing the SNES way more, thanks to it having an A/V cable input, as opposed to the cable input. I just got Link to the Past, probably two weeks ago, and if I don’t feel like grinding in Destiny, I have a perfect single player experience now to fall back on. This might be a little weird to think – going back to the SNES for a single player game to play, instead of playing one of the new ones like Dying Light, Dragon Age: Inquisition or my Minecraft project. There are a couple aspects to why I do that. Partially, I just get burned out on certain parts of gaming – sometimes it’s shooters, sometimes it’s open-world games; and I look for something distinctly different. In this case, lately I’ve been burned out on grinding in Destiny – I recently hit level 32 on my main character, and just need a break before I start trying to really get my other two characters there. I’ve gotten back into playing Advanced Warfare a little bit, just to fill my liking for a competitive shooter online, but that’s more of a short burst game. For the most part, my experience with the Zelda franchise really picked up with Ocarina of Time on my friends N64. I had played the original game years back, but I was too young to really understand the game’s mechanics and flow – I was more interested in platformers like Mario and Mega Man. And since I never owned a SNES, I never had the chance to play Link to the Past. 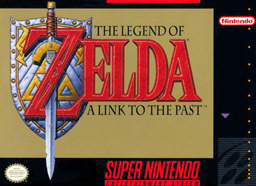 I had of course always heard that it was considered one of, if not the, best Zelda game. Now that I have a bit more varied knowledge on the series, I feel like I can put my thoughts on it better now. Generally, people point to Link to the Past or Ocarina of Time as the best two. And really, they’re both incredibly similar. I think we’ll save the actual comparison for another day, because where they both really shine is in the same place – design. Both have a very easily identified difficulty curve. The initial dungeons are so much simpler than the later ones – partially because of the increase in amount of items that Link has on hand. There’s not a lot of hand-holding – that’s especially apparent in the Turtle Rock dungeon in Link to the Past. You are immediately faced with an interesting puzzle, which you need to use your new Cane of Somaria from the previous dungeon – but in a way that you didn’t in that dungeon. And unlike what might be the case in modern games, there’s nothing there to hold your hand and tell you what you might better do. It puts the impetus on the player, and as a result, whenever you figure out the puzzles, you feel a lot more prideful than in modern games. The entire success is on your hands and brain. I don’t think that we necessarily need to completely go back to the old way – that’s the opposite of progress after all. But I do think that there is still a lot that we can learn from looking at the games that we consider classics – and apply those lessons with the new technology and ideas in design we have now. 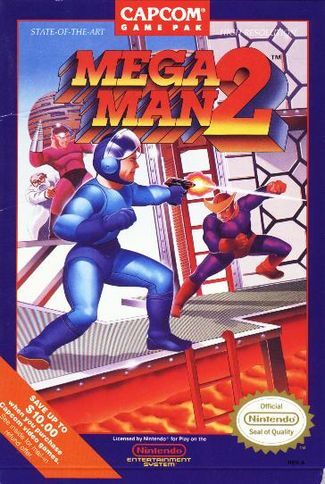 Capcom was on to something with the now cancelled Mega Man Universe – it featured a level editor using assets from Mega Man 2 levels. I think that the upcoming Mario Maker is taking that same idea – letting the devoted fanbase have access to the assets behind the levels, create their own, share them for others to play and let the cream rise to the top. It’s the basis behind Halo’s Forge mode. When you have players who grew up with these design principles, and then you give them the tools to apply them with their own imagination, you can get magic. Short post today, since I’ve come down with the classic January cold. Over last week I was able to finish up the Mega Man 3 title screen, despite my best efforts to keep screwing up. I messed up with the M in Man twice, both requiring me to completely re-do the work; and then messed up the A once as well. It’s hard to concentrate when you put on Retsupurae on in the background. The Mega section went pretty smoothly, only one little issue with the A at the end. The only other thing was that I tweaked the colors a little bit. Instead of using two different textures for red, I used pink clay for the normal red tone, and then used the red wool for the dark red. It turned out alright, the sheer scale makes it tough to really tell when zoomed out. So my plan for this week, once I start to feel better is to go through and do the sprites for the Robot Masters, again in the order that I use to go about beating them. Following that, I want to do a set of Mega Man sprites using the Master weapons, along with a few other details. I’m still nailing down exactly how I want to organize the setup of the sprites, but I want to get started soon. For the most part, the colors should be pretty easy to get right, Top Man might be a little off, but we’ll see. After that, I want to add in some extra details between the Mega Man 3 and Mega Man 4 sets, probably using E-Tanks or Extra Lives – items like that. For now though, here is the total set – as it exists right now, with both games completed. For the most part the news this week was dominated by the Microsoft press event for Windows 10 on Wednesday. I wrote at length about the major details to come from that already yesterday, so let’s take a look at a couple other stories this week. I’ve mentioned in the past that January tends to be a slow month for new games. This past week saw two new launches – of course they aren’t actually new games, but still. This week we saw the launch of Resident Evil Remastered for current-gen as well as Saints Row IV: Re-Elected, along with the new expansion Gat Out of Hell. 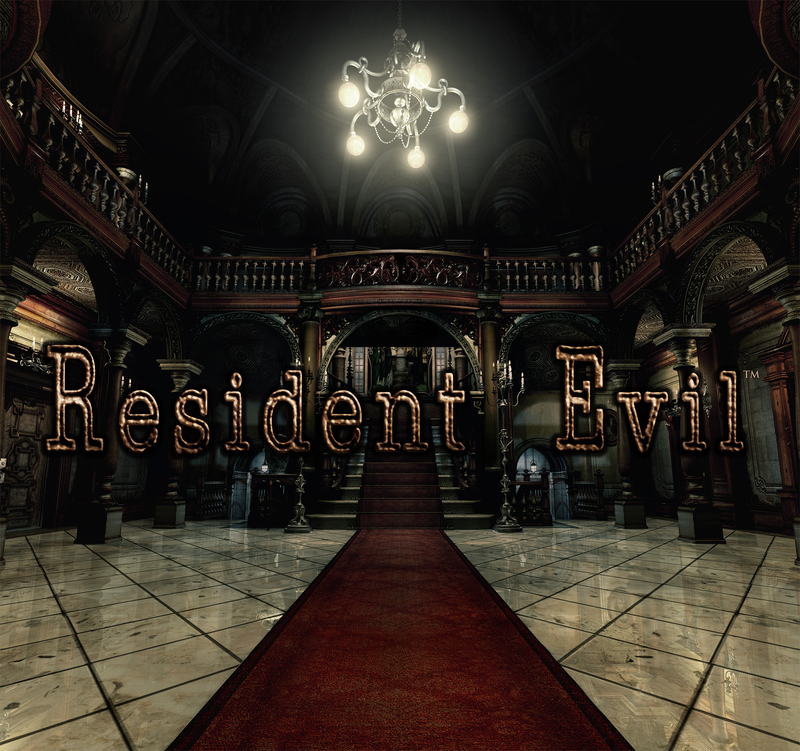 Both are current-gen updates to older games – Resident Evil being a major upgrade to a classic game. I loved the Saints Row games, but the fourth game honestly left a little sour taste in my mouth – it felt a little rough around the edges, almost like it was rushed a bit. Maybe the new update has smoothed out those issues. In a somewhat surprise move, 2K Games announced this week a two-game collection of Borderlands games for the current-gen consoles. 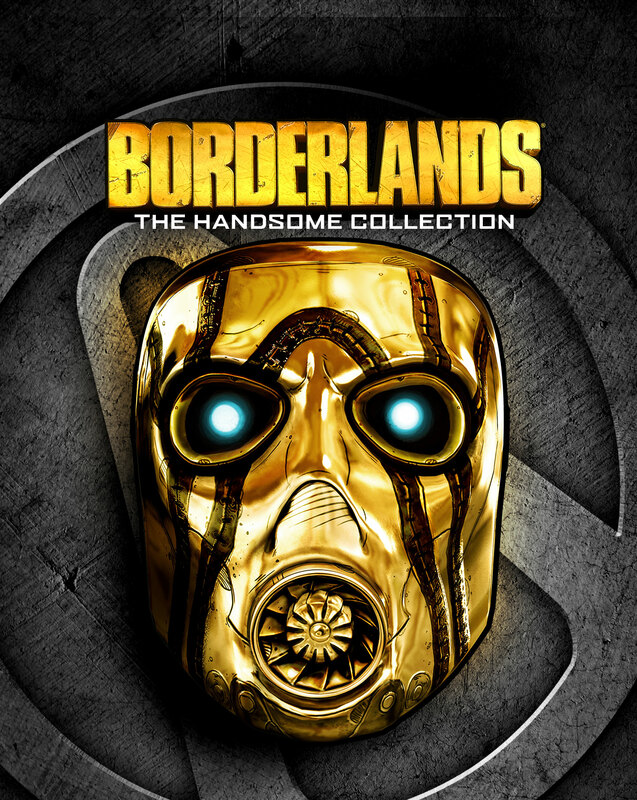 The Borderlands: Handsome Collection will include both the recent Borderlands: The Pre-Sequel as well as Borderlands 2, along with all of the DLC for both games. The best part of the package isn’t the HD upscale to me – it’s that the price point is being set at $60. That’s a crazy amount of value – two full games, which cost $60 at launch, along with the DLC for each (which the season passes for were $30) all for the $60 – that’s unreal. Bringing it to current-gen helps set the table for future games by ensuring that there is an audience on the current-gen consoles ready for more. The low price helps doubly ensure that that audience is pretty sizable. Harmonix late last week sent out their usual email newsletter. Normally it’s just a typical update on what’s going on with the company. This one was a little different. It included a link to an online survey, spurred due to the recent DLC for Rock Band. 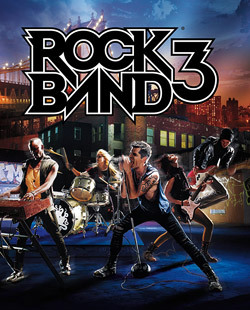 The survey featured a whole slew of questions about the Rock Band series as a whole, including a number of questions spinning the series forward. To me, the entire survey felt very much like early market research for a current-gen addition to the series. Whether that’s true or not remains to be seen, but it’s certainly encouraging for fans of the games. Yesterday Microsoft held a press event to show off Windows 10. On the surface, there’s not a ton of gaming news that was expected to come out of the show. Even from a PC front, there really wasn’t much to look forward to, aside from some more details on Direct X 12. That said, there were two big points that I think warrant a little bit of discussion on today. First, Microsoft announced Xbox One to Windows 10 PC streaming. The specifics are still a little muddy, like whether the streaming has to be done within a single network – like Home Sharing; or if the streaming can go the other way. Either way, it’s a pretty predictable step – Microsoft has been trying to present the idea of a connected world with all devices working in tandem for a few years now. It’s integral to the Xbox One design – TV, cable, gaming and web are all rolled into one console. This is just them taking that design, and applying it across a whole house, not just the living room. Add in that the Xbox One Game DVR works while streaming PC play too, and you have basically all the features that Microsoft has been pushing for the One available (Windows has had a snap-like feature since Windows 7). It’s hard to know exactly how much use this feature is going to have, but it is a nice convenience factor. 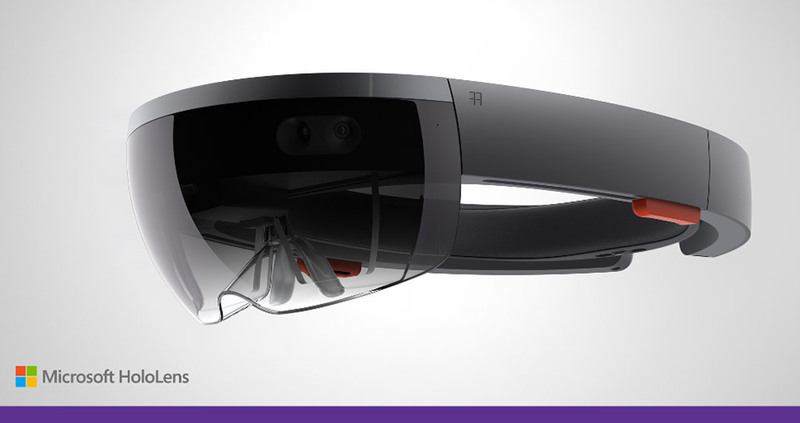 The other announcement is the Microsoft HoloLens – the first in-home hologram projector that is wearable. I’m sure it’s going to be overly expensive, but man, that first commercial that shows off some of the uses makes it look pretty damn cool. From a work standpoint, the ability to project out those projects you’re working on to show the room is pretty unreal. For design industry people, that’s a super important part of every project – making little changes on the fly and showing them in real time streamlines the whole effort. As of right now the design of the HoloLens itself is a little bulky – but then this is the first real generation of consumer holograms. Over the next few years I think we’ll see it slim down a bit. From a gaming perspective though, the potential is pretty mind blowing. The TV itself is no longer the bounds of your screen. Environments can jump to life in your living room – tailored to whatever size room you’re playing in. 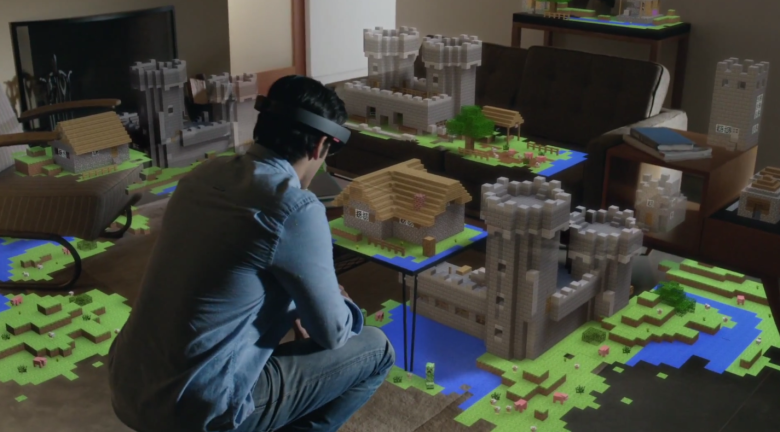 But for me, the craziest application has to be how they show Minecraft being used with HoloLens. Again, it’s hard to really tell for sure, but it looks like loading Minecraft up with HoloLens turns your entire room into your Minecraft world. It’s the next logical step for a game that is essentially LEGOs. You now can play with your virtual LEGOs in the exact same way that you play with your physical LEGOs. Want to create a massive lair on your couch, complete with a lava-fall for your hero to assail? Go for it – it’s right there at your finger tips. Have kids that want to turn your living room into their own personal fantasy land, but don’t really want to turn your living room into a giant mess? Have no fear, HoloLens is here. The potential is insane – and really could be a game changer. Imagine how awesome it would be to take the way Minecraft behaves with HoloLens, and have an official LEGO product. You could use the actual LEGO bricks, going all the way back in their back catalog to create whatever you want. Tie in the connected world we live in, and I really don’t see any reason why those creations couldn’t turn into custom ordered LEGO kits. The sky is the limit. I don’t want to sound like I’m immediately on the HoloLens express here. I think it’s a really cool idea, with some super useful and fun uses; and the potential is unreal. But I also don’t think it’s going to be at that level day one. New tech like this always has growing pains – it’s part of being ahead of the curve, putting up with the quirks. With current-gen consoles, it’s been the issues with having always online connections. HoloLens will have similar issues – what those will exactly be I can’t say for sure. At the end of the day though, it’s a huge step forward, and I think could end up being a bit of a catalyst for affordable, in-home hologram tech for consumers. I’ve written in the past about pre-ordering games – what I look for when I actually go about doing it, specifically about limited editions. While my thoughts haven’t really changed a whole lot – I still like having that guarantee that the game is already paid for and taken care of and will be mine on day one; I have seen a few pre-order incentives that really made me scratch my head. These days those pre-order incentives are really what drive them now more than the convenience factor thanks to downloadable titles. So publishers have to come up with incentives that players will actually want to have in order to drive the pre-orders up, and help ensure a solid early portion of the lifespan. I should mention now that I’m really approaching this more from looking at the multiplayer side of things. For single player games, or the campaigns in games with both aspects, pre-order bonuses really don’t make a huge difference. 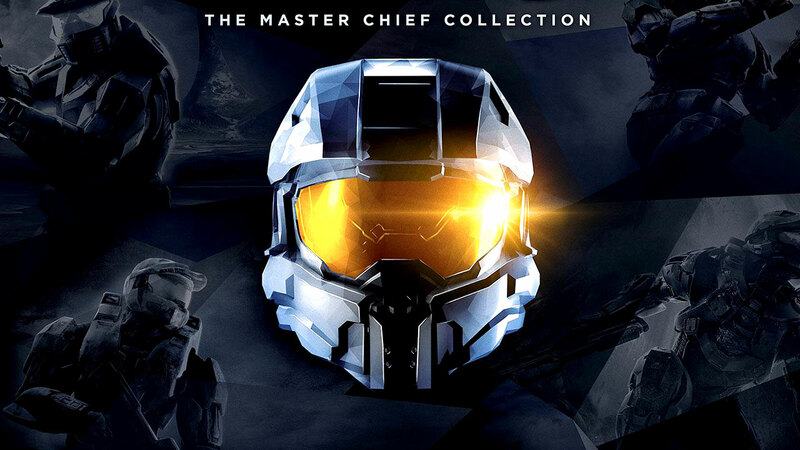 Even things like the Bandana Skull in Halo: The Master Chief Collection – which was a pre-order bonus from GameStop – and grants unlimited ammo and grenades, since it’s a singleplayer experience, it’s only impacting your experience. If you would like to play with that bonus, go for it. It’s totally different from if that same Skull applied to multiplayer – especially in a competitive game like Halo. Generally, the bonuses for games with strong multiplayer – Call of Duty comes to mind – are only cosmetic changes. Weapon skins or player skins that show off your dedication to the series are cool, and don’t actually impact the gameplay. Which brings me to what was the genesis of this post. 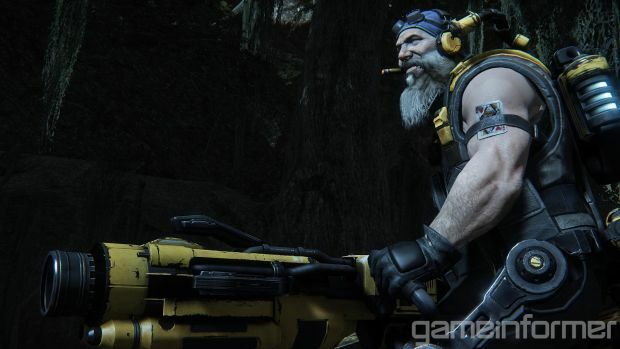 I mentioned yesterday about Evolve‘s pre-order bonuses being early access to the third and final set of characters. In theory that’s not the worst thing possible – until you realize that each individual character within a class has slightly different gear. For example, the Medic class – Val, the initial Medic has a healing beam that requires you to keep line of sight; while Caira, the third Medic, has a grenade launcher that fires healing grenades. There’s a huge difference in tactics between the two weapons’ usages. With Val, you need to be near your teammates at all times, in order to heal them. Caira can move around a bit more freely, thanks to the grenades – as long as the explosion hits your teammates, they’re healed. It gives you more tactical choices, which impacts gameplay. The other pretty grievous offender is April’s Mortal Kombat X. They announced the pre-order bonus back in the fall, and I put down my thoughts right away on Twitter. Pre-ordering MKX will give players access to Goro – whether that’s exclusive access or early access I’m not totally sure about though. Either way that’s a pretty major issue. Goro is a boss character – always has been in the series. Within fighting games, boss characters are almost always pretty over powered, whether it’s their attack power, or their move set. M. Bison is pretty infamous in the Street Fighter world for his A.I. back in Street Fighter II, where his skill would increase dramatically in the second round, especially if he had lost the first round. Goro was more of a power difference – he hit super hard, and didn’t really flinch, which made combos difficult against him. 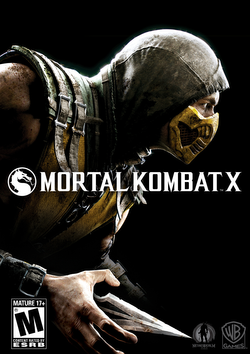 Assuming that they are rebalancing him for Mortal Kombat X doesn’t really make me feel a whole lot better though. He’s still bound to have some of his iconic moves – his throw in particular is a pretty iconic move, and used to hit super hard. Now in and of itself, these bonuses aren’t the worst ones ever. What makes them an issue to me is that they both have easily apparent impact on the multiplayer side of their respective games. Within Evolve, those final tier characters could totally make early games play very different – especially against players without those same characters. With Mortal Kombat X, it could just be that Goro still has too much boss character power in him, even as a playable character – which in a competitive arena like fighting games, is definitely not good. Whether this ends up being a major deal really remains to be seen – Evolve still is about a month away, and Mortal Kombat X is set for an April release. But I don’t really like seeing games put in actual gameplay elements for pre-order bonuses in the multiplayer side. January is always an interesting part of the year with gaming, Online usage is up, with people playing all their new games from the Holidays. But contrasting that, there usually aren’t too many big releases during the month. Instead we’ll usually see a few DLC packages, or downloadable games. In this year’s case, Call of Duty: Advanced Warfare is getting the Havoc pack this month, and we’re seeing the release of a current-gen Resident Evil remaster, as well as the current-gen Saints Row IV edition. Neither game is what I would call a major entry for this year. On the other hand though, this month saw two high profile betas. While the Halo 5: Guardians beta technically started at the end of December, the majority of the beta ran through this month. 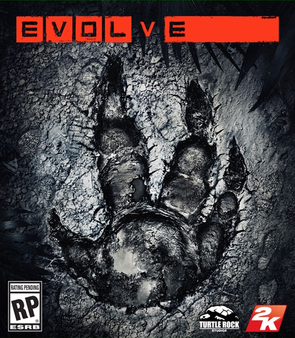 The other beta, a larger scale pre-release beta than the Big Alpha, was for Evolve. It featured more content than the Big Alpha, but only ran for essentially a weekend, plus a couple days. These two betas show two very different approaches to pre-release events. 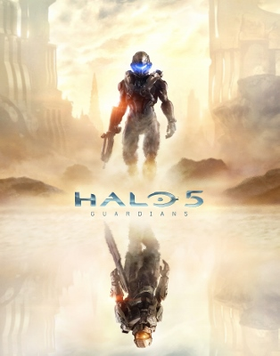 With the Halo 5: Guardians beta, it ran for a longer period of time, but had a much narrower focus. I wouldn’t ever really expect to see a beta feature a single player campaign, so this being solely multiplayer makes perfect sense to me. That said, the multiplayer in Halo is so varied and robust, that seeing only three game modes felt like they were holding something back. Halo is a series that’s been known now for years for having a multiplayer that’s full of not only built in game modes, but the flexibility to create all kinds of crazy modes. I think that 343 could have provided a scaled down version of their tools for custom modes. As it turned out though, I think they picked the modes for the beta for a couple reasons. Slayer was there because it’s probably the most played variant online; but the other two modes, Breakout and Strongholds, are both technically new game modes to Halo. It makes sense that 343 wants to feature them, not only to test them in an online environment, but also to promote them a bit. In general, Halo tends to fall into pretty typical patterns – objective games like CTF or Oddball always do well, while games like Assault or King of the Hill tend to fall more on the competitive side, appearing less frequently online. I think 343 wants to make sure that Strongholds or Breakout (or both) work well online and could in fact also work in the competitive world too. All things considered though, the modes weren’t really what bothered me more about the Halo 5: Guardians beta. It was the map selection. Normally, in a beta I don’t expect much in the way of map variety. But then, most betas don’t last three weeks. Nor do they cycle the maps in and out. That’s really where I was most confused. The beta started with Truth and Empire, both on Slayer. The next week, those maps were pulled – and replaced with Regret and Eden, again on Slayer. What I couldn’t understand was why the first two maps had to be pulled down totally – why not keep them in, and have a four-map rotation. It made sense to me too, since those four maps were all inter-related. Truth and Regret are maps based around the same base – Midship. Truth is a pretty direct update, and Regret is what they’re calling a Remix – it’s Truth, just with a few twists to make it feel unique. It’s a clever way to build the map list, without creating an insane amount of extra work. Empire and Eden are also remix pairs – just not based around an old map this time. To me, I think it would have made sense to put all four in one hopper. Adding in the final map that appeared – Pegasus – wouldn’t have really been a bad thing, it could have broken up the monotony of playing the same two basesets. In the end, that limiting of the maps selection for the beta, is what made me limit my playing. I really enjoyed the gameplay, but it got old fast on two maps only. With the Evolve beta, this was a bit different focus. The game has already gone gold. It’s too late to make major, sweeping changes. Instead, this was more of a, give the players a bunch of content, let them play essentially the full game for a weekend, and try to catch and squash as many bugs before release. Providing players with the first two sets of characters, both hunters and monsters, let Turtle Rock look at how they interact well before launch. Beyond that, pre-orders of the game before and during the beta unlocked the third and final set, and will have them all open in the full game. I’m not a huge fan of the early unlocks just for pre-ordering, but that’s a topic for another day. Honestly, the Evolve beta felt more like an almost complete game, probably because it was close to the final build, if it wasn’t the actual final build. 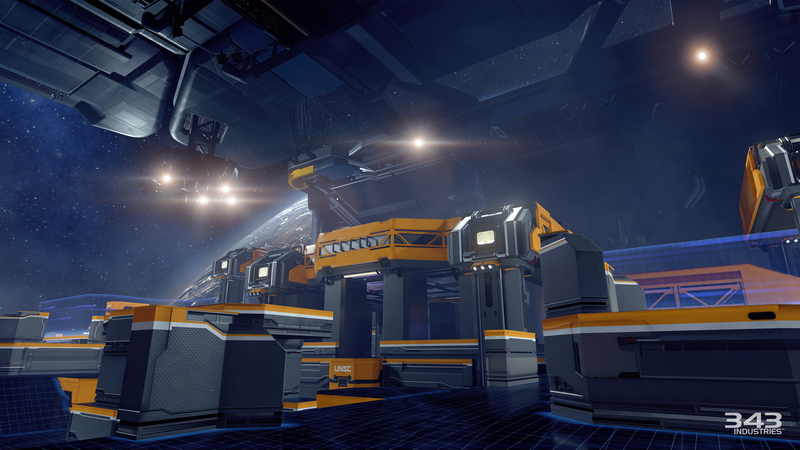 There were strong built in tutorials, and every map that’s present in the game was in the beta. I think it was just a last chance tune-up prior to launch, which certainly has merits that can hopefully help keep Evolve from having yet another broken launch. One area where both betas did overlap was that both allowed the player to keep whatever unlocks they managed to get in the beta for the full game. In Halo‘s case, that mainly amounts to just cosmetic gear; with Evolve, that’s characters and upgrades. That’s a very different mentality from say last year’s Titanfall or Destiny betas, both of which had player wipes after the betas closed. I think both styles have their merits – I’m more inclined to be okay with Halo‘s approach, since cosmetic gear doesn’t impact gameplay (generally) while characters and upgrades can very much alter gameplay. Early on in a games life, I would rather have as many players as possible on a level playing field, as opposed to having players that were in the beta having upgraded characters, or players that pre-ordered having final tier characters. It’s up to the developers in the end, and we just have to hope they know what their doing. I mentioned in last week’s update that the Stage Select screen was proving to be a pretty complicated build, thanks to being pretty full of stuff. With Mega Man 4, the Stage Select was really straightforward – the background between the portraits was really simple, and let me use potions of swiftness to finish them really quickly. In Mega Man 3 however, the repeated use of the “Mega Man III” logo throughout the background made me take a different approach. Instead of going straight across like I did in MM4, I went with instead putting down as many of the “Mega Man III” first, then when they were all put down, and the portraits were completed, I threw on the potion of swiftness and finished out the blue in the background. I don’t really know how much time difference this actually amounted to, mainly because not only did I not actively time my progress with MM4, but also since this is my third full screen project, I have a bit more thought out plan. 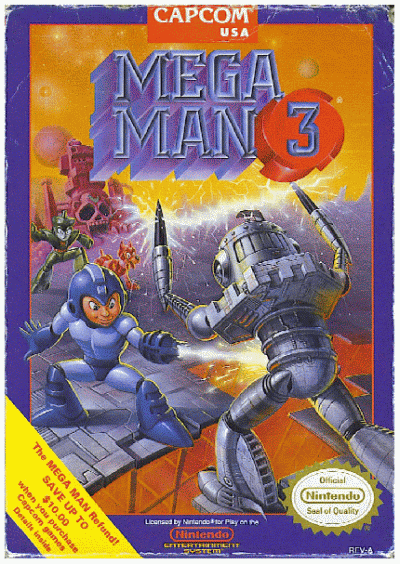 The total time on the Stage Select for Mega Man 3 was right around eight hours or so – probably a bit more. In the end, I’m pretty happy with the final product – Snake Man’s green is a little darker than the actual sprite, and for the most part, I went with colors that would probably fit better with a more “realistic” art style. The faces on the Robot Masters – especially on Top Man – in the actual sprites use the same color for the shadows, as they use for the highlights on the red armor. While I could have gone with using the pink clay for both, thanks to the dyed clay options, the light grey clay looks really good next to the white clay as a shadow. It looks a bit more lifelike, and I think it works. Since I finished the Stage Select, I dove right into the Title Screen. I was expecting it to go relatively quickly, mainly because there aren’t much in the way of details. With Mega Man 4, the Title Screen had the large helmet in the lower third, that broke up the black background. 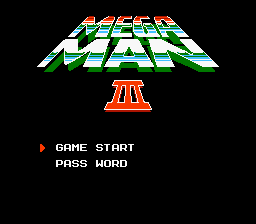 In MM3, the whole screen is just black – with the “Mega Man III” at the top, with only “Game Start” and “Pass Word” below it. Everything else is black. It’s good because I can use potions of swiftness, bad because I get bored. The only other issue with the Title Screen is that there is a dark red color used in the “III” and at the top of “Mega” and as I’ve mentioned in the past, there really isn’t a great dark red block. Netherack has sections in it that are dark, but the texture ruins it. So I’m going with just doubling up – red wool and red clay, and hoping it looks good still. After that, it’s on to the sprite field, which I also have a better plan for, in order to make it look a bit more organized. I’ll show what I mean in next week’s update.